New York is set to become the first city in the country to charge drivers a fee for releasing planet-warming pollution from their cars. New York Gov. Andrew Cuomo (D) and state lawmakers agreed to a congestion pricing plan in the $ 175 billion state budget finalized Sunday. That means drivers will soon pay more than $ 10 to enter the busiest parts of Manhattan below 60th Street. Specific fee amounts have not yet been decided. But drivers are expected to pay an average of $ 12 to $ 14 for cars and $ 25 for trucks. Congestion pricing has taken off in Europe and other regions, with Stockholm and London leading the charge. But the idea has struggled to gain traction in the United States until now. 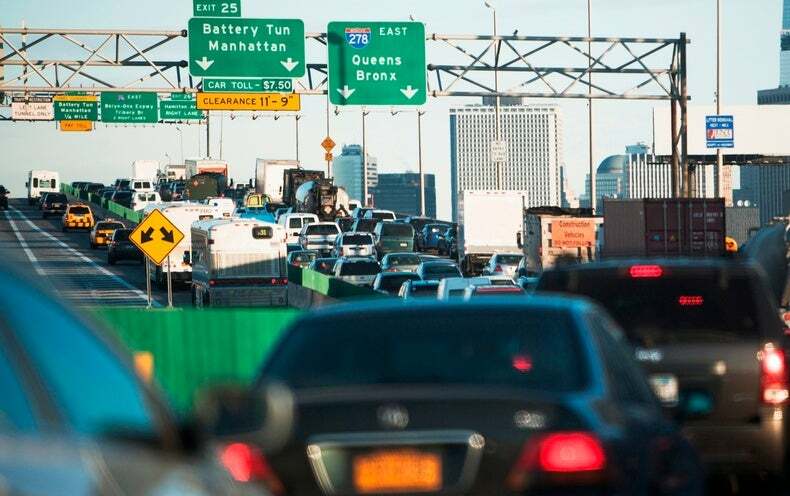 New York environmentalists, many of whom have been advocated for congestion pricing for the better part of a decade, said they were delighted. Big win for the environment and mass transit here, ”said Julie Tighe, president of the New York League of Conservation Voters, who pushed the plan into numerous meetings with state lawmakers. 0% of the congestion festival the Long Island Rail Road. Subway and buses, while the bulk — 80% —will go to the city's subway and buses. Andy Darrell, New York Regional Director of the Environmental Defense Fund, said he recognized that it was difficult for some lawmakers to endorse the plan. He noted that their constituents need to drive into Manhattan for work and are used to paying a stiff fee. After Stockholm passed its congestion pricing system, it saw a 15% reduction in particulate matter and a 50 Reduction in asthma rates, according to research from Johns Hopkins University and other institutions. In New York City, congestion pricing could help reduce air pollution and asthma rates among low income and minority populations. ] East Harlem, a predominantly Latino community with the highest jobless rate in New York City, has major bridges that carry traffic into the city. It also has some of the highest asthma rates in the country. Hope that New York will inspire other US cities to consider congestion pricing more seriously. They say Los Angeles and San Francisco are prime candidates, given their unique air quality problems and aggressive climate goals. "New York City can see and example for other cities across the country, many of which can find their own asthma belts, probably not too far from their central business districts, ”Corbin-Mark said.